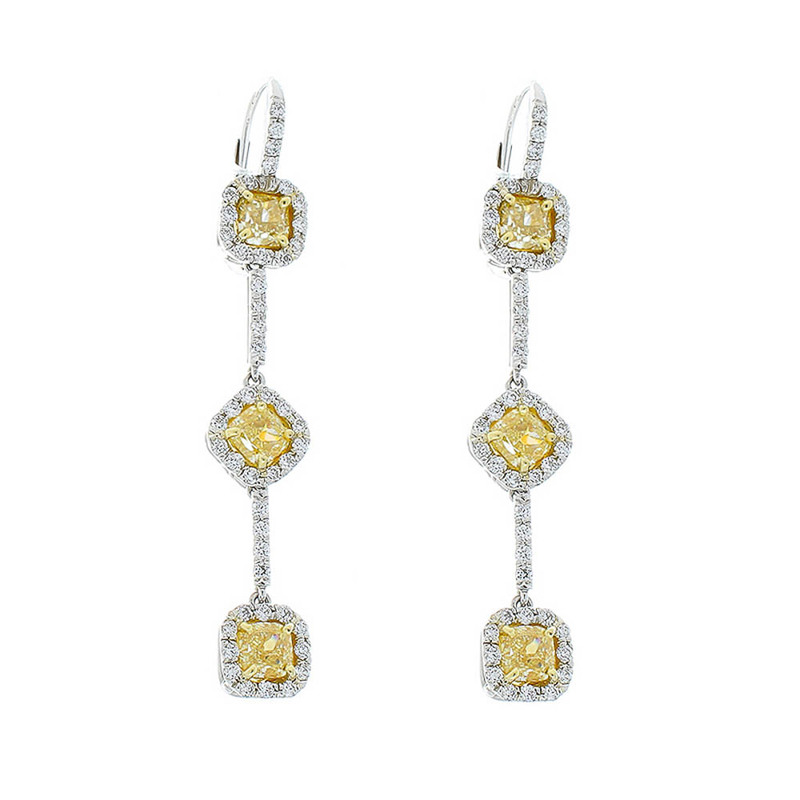 These linear dangle earrings feature natural fancy yellow, cushion-cut, diamonds totaling 3.00 carat set in complementing yellow gold. The clarity on the natural lemon yellow diamonds are VS-VVS clarity. Round brilliant cut diamonds, G color VS clarity, frame each fancy yellow diamond as well as the linear connections totaling 0.98 carats. Designed in premium platinum & 18K yellow gold, these chic dangles are held by post friction backs.